Had a tough week? 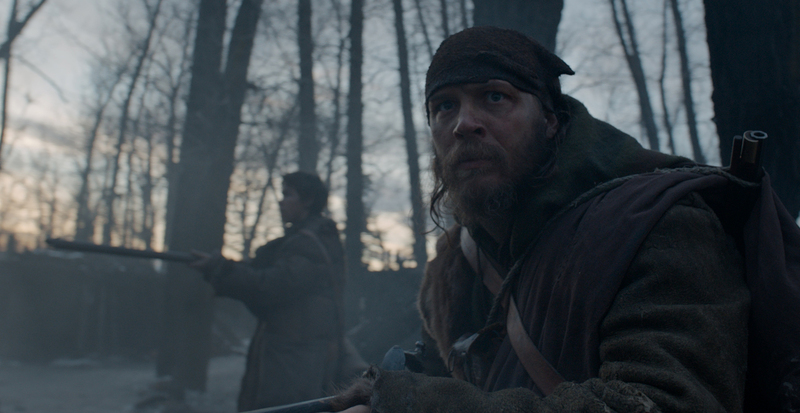 Well, chances are your tales of woe won’t stack up very high against Hugh Glass, the 19th century American frontiersman portrayed by Leo DiCaprio in The Reverent. In the course of this rip-roaring winter wilderness tale, Glass is mauled by a grizzly bear, buried alive, attacked by Indians, swept into the rapids of a freezing river and chased—atop his galloping horse—off a high cliff. Glass eats birds, raw fish, bison guts and moose marrow, and de-bowels an animal carcass to crawl inside, naked, for a cold night’s sleep. 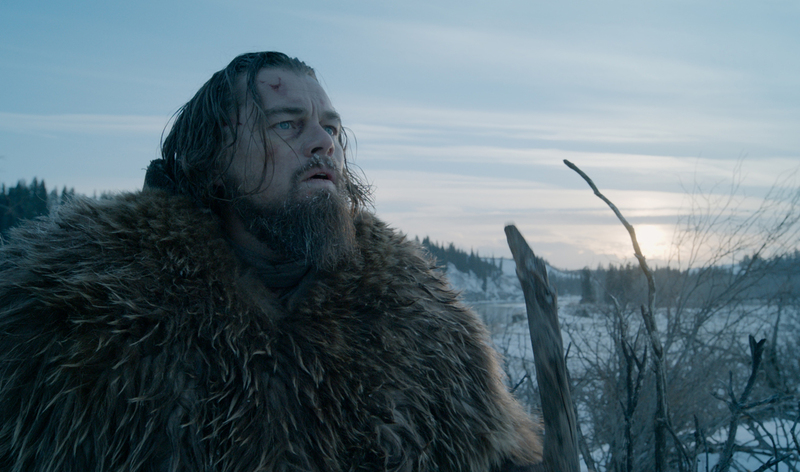 DiCaprio’s already received a 2016 Golden Globe award and a Critics’ Choice acting prize for his visceral, punishingly physical performance, and The Revenant took other top Golden Globes for its director, Alejandro González Iñárritu, and for best motion picture drama. Now it’s headed for the Oscars in late February, and buzz is building about how this year and this movie could be the one to finally net Leo his first Academy Award. Based on a 2002 novel by Michael Punke, The Revenant is a gritty, brutal tale of tragedy, betrayal, survival, endurance, violence and vengeance. (Its title means someone who has returned, especially from the dead.) It begins as Glass, an experienced wilderness guide, and the hunting expedition he’s been hired to lead are ambushed by Arikara Indians somewhere near what is modern-day South Dakota. In a magnificent, sweeping sequence that’s like Saving Private Ryan only with bows and arrows, most of the party is mowed down in mud by a river; Glass and several others escape, including his young, half-Indian son. And troubles are just beginning—especially for Glass. In one of the film’s most harrowing sequences, a bear mauls him almost to death when he comes between her and her cubs. He gets no sympathy from the vicious, greedy Fitzgerald (Tom Hardy), who considers Glass dead weight and thinks they’d all be better off if he was put out of his misery. Fitzgerald also doesn’t care very much, either, for Glass’ son, whose mother—Glass’ Pawnee wife—was killed in a raid by American cavalrymen. Fitzgerald’s dastardly deed sets the rest of the movie in motion, and director Iñárritu—who last year won acclaim and awards for Birdman—makes the stark, inhospitable desolation of the frontier (much of the filming was done in Alberta, British Columbia) look stunning, lyrical and often beautiful as Glass claws his way back to “civilization,” like an unstoppable force of nature, seeking the man who robbed him of the only thing he had left. This is a raw, richly elemental movie. The screen swells with earth, air, sky and water. You don’t just watch it, you feel it—the cold, the wet, the pain, and the primal emotions that drive the characters. At times you almost lose DiCaprio beneath his gnarly beard and matted hair, and there are long stretches where the only sounds are grunts, growls, whoops or howls. Trees figure prominently into symbolism and hallucinogenic dream sequences. There’s a strong underlying message about America’s indigenous peoples, their mistreatment and the exploitation of America’s resources. It’s strong stuff, and won’t be everyone’s cup of frontier stew. 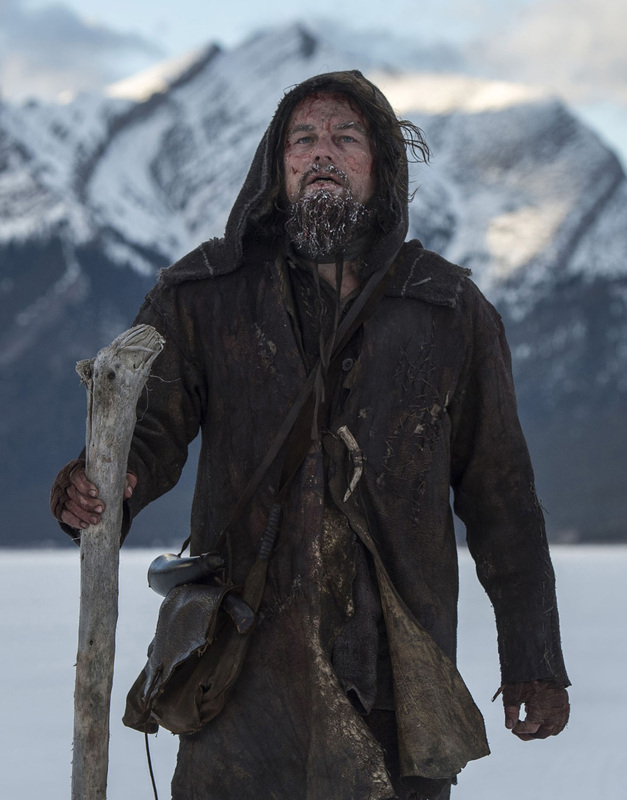 But if you’d like a reminder of just how “wild” the western wilderness really was—just how much will, resources and resolve it took to survive in it—The Revenant serves up a spectacularly jarring, frequently jolting dose.